Standard philosophical explanations of the concept of knowledge invoke a personal goal of having true beliefs, and explain the other requirements for knowledge as indicating the best way to achieve that goal. 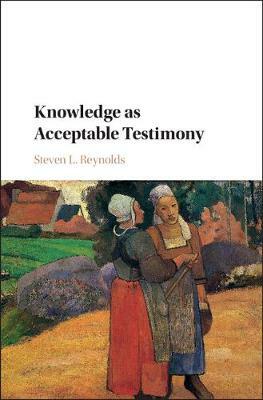 In this highly original book, Steven L. Reynolds argues instead that the concept of knowledge functions to express a naturally developing kind of social control, a complex social norm, and that the main purpose of our practice of saying and thinking that people 'know' is to improve our system for exchanging information, which is testimony. He makes illuminating comparisons of the knowledge norm of testimony with other complex social norms - such as those requiring proper clothing, respectful conversation, and the complementary virtues of tact and frankness - and shows how this account fits with our concept of knowledge as studied in recent analytic epistemology. His book will interest a range of readers in epistemology, psychology, and sociology.